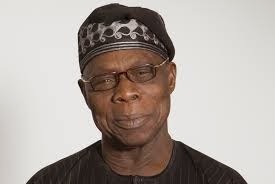 'Why Jonathan’s Performance is below Average' - Olusegun Obasanjo Reveals! The Former president spoke during an encounter with book writers in Abeokuta, Ogun State, as part of activities marking the popular Ake Festival. such a position without being helped." The former President also debunked the insinuations that he had selected Jonathan as the running mate to the late President Musa Yar’Adua because he knew the latter was sick. "Yar’Adua told me he was well. He showed me his medical report and I even consulted experts," he said. Yar’Adua to extend the sense of belonging that the emergence of a Southern President in 1999 represented. When the former President was also asked on why he preferred Jonathan to the former governor of Rivers State, Donald Duke, he said, "In my own life, I don’t put all my eggs in one basket. Duke was young enough to be in the reserve. "He did not agree with me. Donald Duke is my friend but he needs a little of toning down. He needs to get his feet on the ground."